Are you thinking about building a new home with any of the top builders in the Syracuse New York area? There are many top builders in the Central NY area such as Summerset Homes, Harrington Homes, Heritage Homes, JMG Custom Homes, Ryan Homes, Eldan Homes, Alberici, and many others. We are experts in new construction and can offer you buyer representation and can provide you with a REBATE at closing when you use our services to purchase your new home through any builder in the Greater Syracuse New York area. When you purchase a brand new construction home in the Central NY area, I will offer you a 1% Rebate of the purchase price at closing and represent you through the entire transaction. On a $200,000 home, that is $2,000 back in your pocket! A real estate broker may represent both the buyer and seller if both the buyer and seller give their informed consent in writing. In such a dual agency situation, the agent will not be able to provide the full range of fiduciary duties to the buyer and seller. The obligations of an agent are also subject to any specific provisions set forth in an agreement between the agent, and the buyer and seller. seller are giving up their right to undivided loyalty. A buyer or seller should carefully consider the possible consequences of a dual agency relationship before agreeing to such representation. A seller or buyer may provide advance informed consent to dual agency by indicating the same on this form. Full Disclosure: We do not represent any builder in Central New York. We will work on your behalf as a buyers agent. This promotion is not offered by the builder. Most builders have their own duly licensed real estate agents that protect the builders interests as a Sellers Agent. It is your right to be informed. Moreover, if you are not interested in the rebate provided, that is your right, and we will still offer you buyer representation. 1) Negotiating on your behalf to get you the best possible deal, we do not negotiate for the builder. 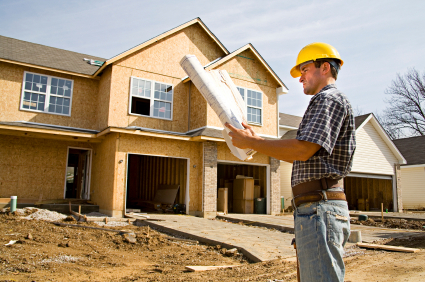 2) Educating you about new construction practices. For instance: Is block foundation better than poured? Why does 2 X 6 walls matter? What is the quality level from builder to builder? Which builder has the best reputation? Which builder communicates the best? Which upgrades will have the best return on investment? 3) Representation to make sure your interests are protected from the beginning to the end. It is always best to have a second set of eyes and ears on any real estate transaction. 5) Communication throughout the building process. Remember, according to the law of agency your interests may NOT protected when you work directly with the builder without a Buyers Agent.